The Loon dollar is part of the same species as ducks. 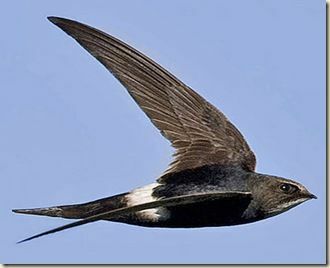 Its flight is laborious because of its weight (4 kg) and its size (a span of 1.50 m), however once in the air, its speed is amazing (90 km / h). He is also very comfortable in the water because he swims without effort, his black beak is therefore formidable for fish. The golden eagle is a bird of prey with great hunting ability, he was once nicknamed "the king of animals" . Its large wings allow it to fly majestically in the sky and easily reach 120 km / h.
The frigate (to whom some boats are named) flies at an average speed of 153 km / h, but would also be able to fly at a higher speed. The frigates have long wings that can reach a wingspan of 2.3 meters. 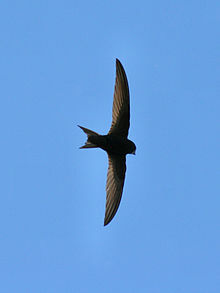 The peregrine falcon is the fastest bird because it beats impressive speed records. It hovers at 90 km / h, dives at 180 km / h and even reaches a score of more than 350 km / h when it is a dive to catch prey on the ground. His attacks are so spectacular. Of course, planes remain the fastest in the sky!